At a family-run winegrowing estate, 'moving out' can be relative. Mother nature has her own list of priorities, and a dutiful vintner’s child may well end up returning home every weekend to lend a hand. Gerhard Josef Wohlmuth's style isn't quite the same as his father's. His black is more casual, less intense, sometimes even supplemented with demure shades of brown and green. Gerhard Wohlmuth, senior, however, takes his sartorial choices very seriously. Day after day his wardrobe resembles that of his favorite singer, Johnny Cash. The Man in Black. Black shirt, black pants. A clear and consistent attitude that ultimately mirrors the wines from Wohlmuth's hands as well. So why would a vintner from the Südsteiermark town of Kitzeck-Sausal model himself on a country singer from Kingsland, Arkansas? Because the wider world has always been of great importance for the Wohlmuth family. 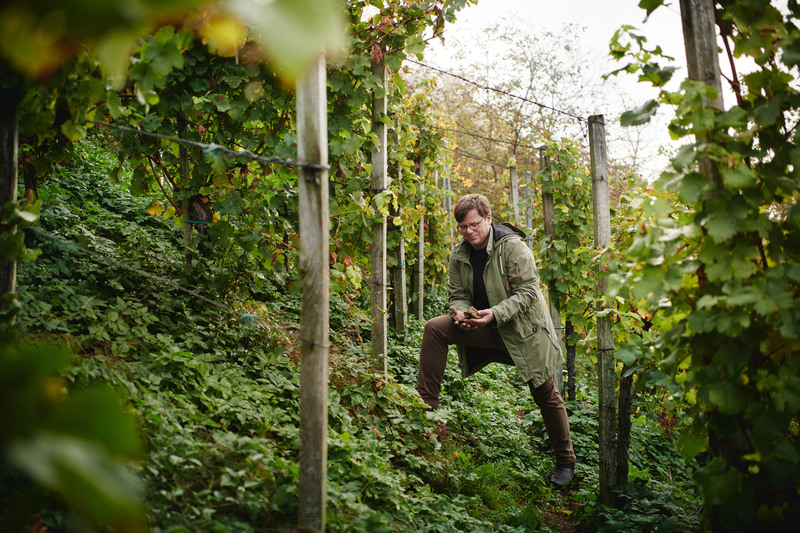 Both Wohlmuth junior and senior have traveled far and wide honing their vinicultural craft. Each as his heart commanded, with different lessons learned. 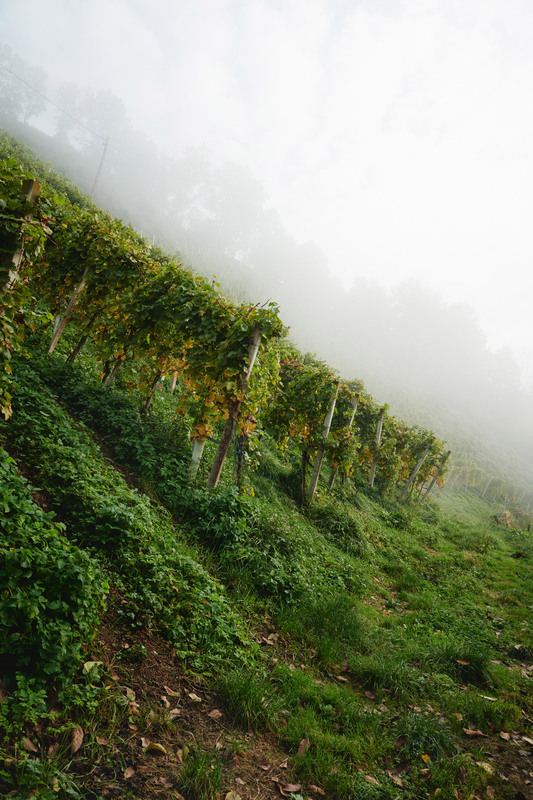 Gerhard to estates in Germany's Pfalz region and to Malans, in the Swiss Canton of Grisons. Gerhard Josef, decades later, to New Zealand and South Africa. They returned home from their far-flung adventures with many new inspirations. And a newfound awareness that Kitzeck-Sausal really is a place like no other. 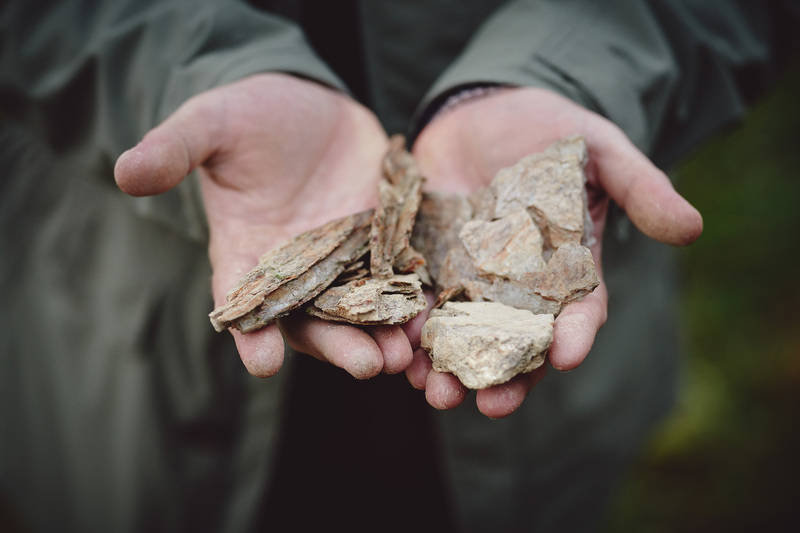 That same element of Kitzeck-Sausal life that complicates their daily work in the steep vineyards also makes it infinitely more special: the slate soil. Or, to be more precise, slate soils. 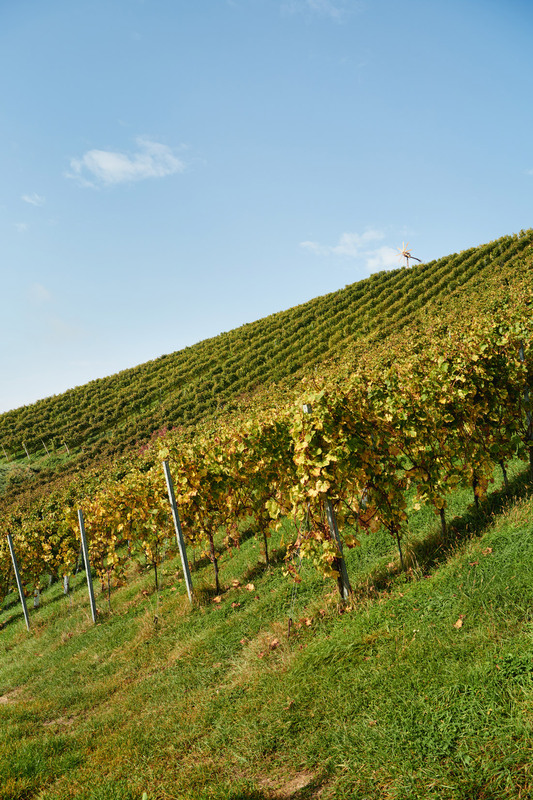 Because different geological compositions lie side by side in the vineyards of Kitzeck-Sausal. Thin-layered red slate next to compact bluish-black schist. Not to mention the many veins of quartz. "Slate is everything to us," Gerhard Josef Wohlmuth says without hesitation or reservation. "It is," he says, "what gives the wine its distinctive spiciness and cool character." 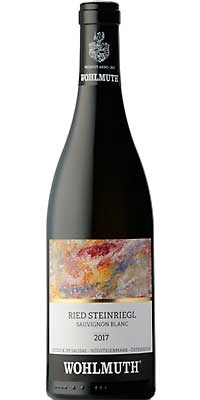 An ideal foundation for the taut interplay between cool and warm that he strives to reflect in his wines. Successfully. His day starts no later than 6:00 am. The father of three is a notable early bird. The point of a family-run estate is not necessarily to make a big name of your own. Especially when your surname is Wohlmuth and has been attached to the estate since 1803. 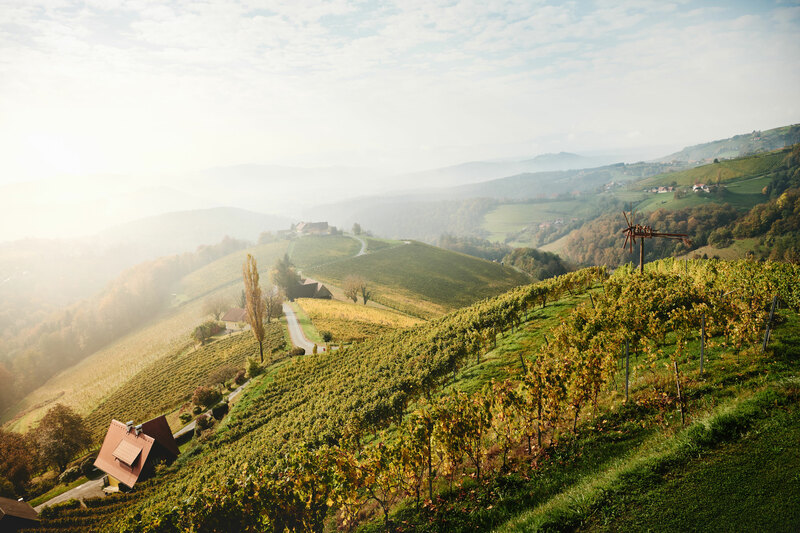 Back in the 1980s, Gerhard Wohlmuth's uncompromising focus on quality helped raise the estate to one of the most renowned anywhere in the Steiermark. Gerhard Josef has nevertheless managed to bring a round of evolution to his father's work. Through his own signature. "My father was wonderful when it came to delegating responsibility," he says. "He handed over the cellar to me when I was just 19. With the understanding that I'd better not let him down. And that quality would unquestionably remain the top priority." Gerhard Josef spent two years at university in Vienna before abandoning his studies without a degree. While the many concerts he went to see during that period might have played a role, it was more about maintaining the working rhythms inherent to a family-run estate. Every Thursday evening he'd head home to Kitzeck to help out on Friday and Saturday. While the process wasn't always easy, he never viewed it as a burden. 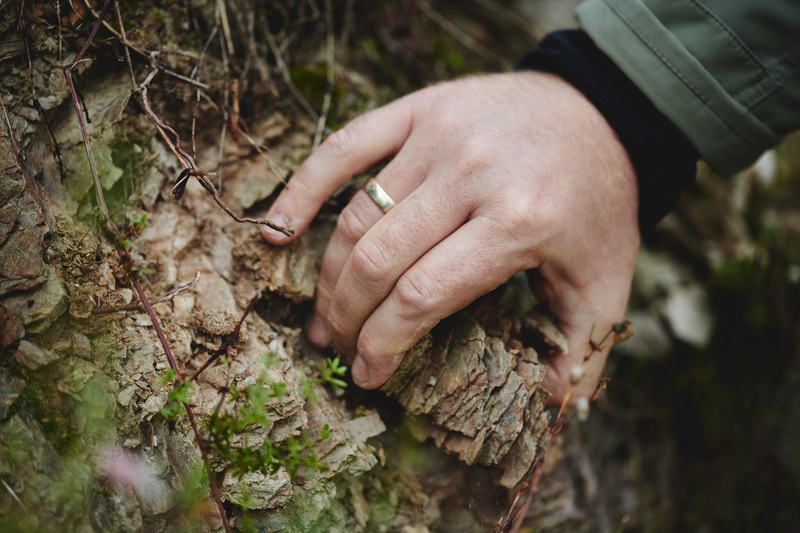 After all, he grew up aware of his ties to this place and its soils, to the stone and the steep vineyards, to the laborious nature of the terrain and to nature’s caprice. Even today he knows no other way, nor does he want to. "Pinotage isn't my boss, but when he talks, I listen," he says, quoting the saying on t-shirts worn by the harvest helpers in South Africa. His version would be: "Nature dictates how the wine will taste. Your job is to accept it." Gerhard Josef Wohlmuth has found success in following this principle. He is known for infusing a distinctive elegance in wines made from his primary variety, Sauvignon Blanc. The much-commentated local renaissance in Rieslings is present here as well, in wines from the Edelschuh, Gola, Steinriegl and Dr. Wunsch sites. 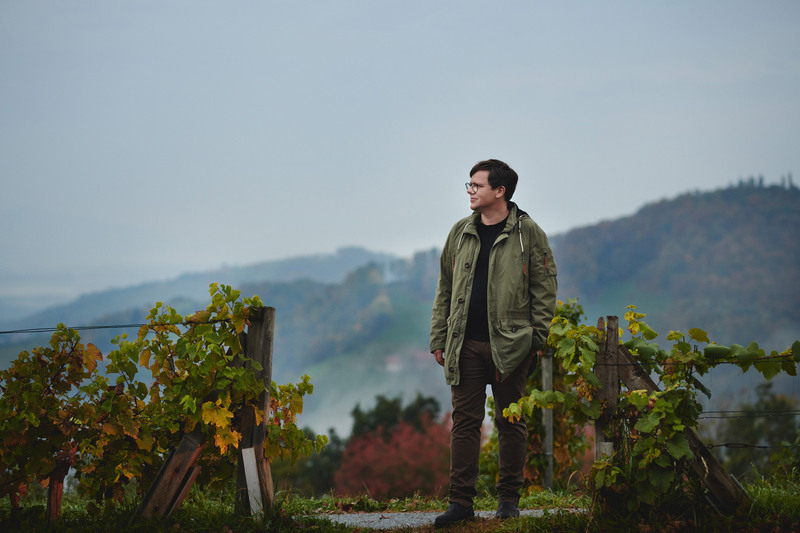 Gerhard Josef did return to university – this time to train in viticulture, oenology and wine business administration. He completed his degree at 26. And concerts remain a beloved diversion. Like his father, one of Gerhard Josef Wohlmuth's favorite singers is also known for wearing mostly black. In this case, Nick Cave.